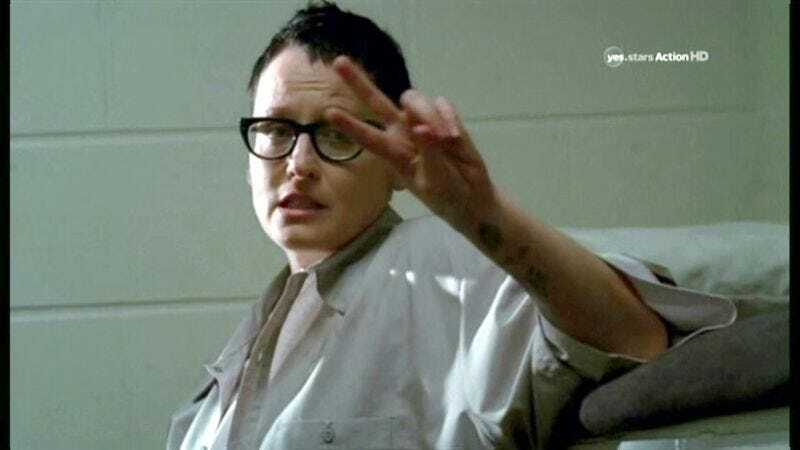 Orange Is The New Black will have a new guest in the cell block next season: TV Line announces that Lori Petty will appear on the hit Netflix series set in a women's prison. Petty is best known for a string of 1990s movies, when she starred as Surfer Girl Tyler in Point Break, long-overshadowed younger sister Kit in A League Of Their Own, and the titular Tank Girl. Since then, she’s primarily been seen in other TV guest spots, including appearances on House M.D., CSI: NY, and Prison Break, which may come in handy here. There’s no word yet on what Petty’s role will be on OITNB. (Inmate? Guard? New love interest for Jason Biggs? Our money’s on “inmate.”) There’s also no indication on how many episodes will feature her. But a previous announcement that Laura Prepon will only appear in four episodes in the second season ostensibly leaves some room in Piper’s social life. We’ll find out the latest goings-on in Litchfield Penitentiary when Orange Is The New Black returns to Netflix in the spring.